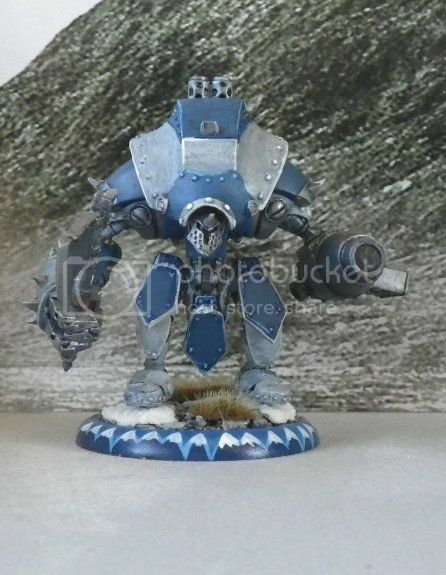 I've just finished painting all my Warjacks for Khador and thought it would be a good time to show them off and add my thoughts on them. 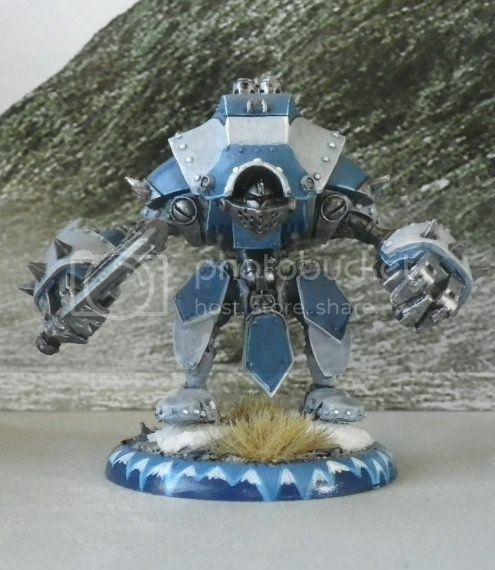 When I first starting playing warmachine I really though the game was all about the warjacks but after playing for while you realise them game is a about combined arms and warjack represent only a part of a playable force. 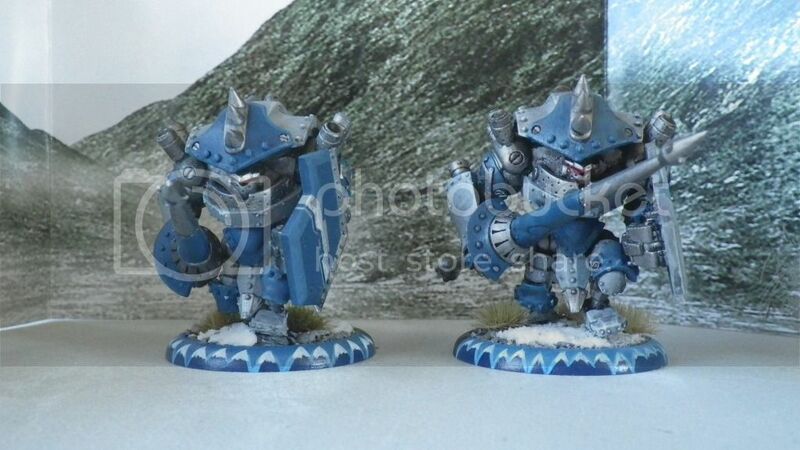 Both these warjacks come with the battle box, I think what their role is to teach new players what Khador warjacks are all about - slow, inaccurate, heavy armour and survivability. Also that most axes in Khador hit really hard when they do hit.